National Youth Leadership Training incorporates the latest leadership ideas and presents fresh, vital and meaningful training for today’s Scouts. 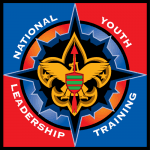 Built on the legacy of the Junior Leadership Training and Wood Badge programs, the NYLT course teaches the best in modern leadership theories during traditional scouting activities. Dynamic presentations and videos help keep scout’s attention focused on learning and gaining confidence in their abilities. Who is eligible for NYLT? Scouts should have completed at least one long term camping experience before attending NYLT. Enable your youth to run an effective youth-led scouting program – i.e. your job gets easier!